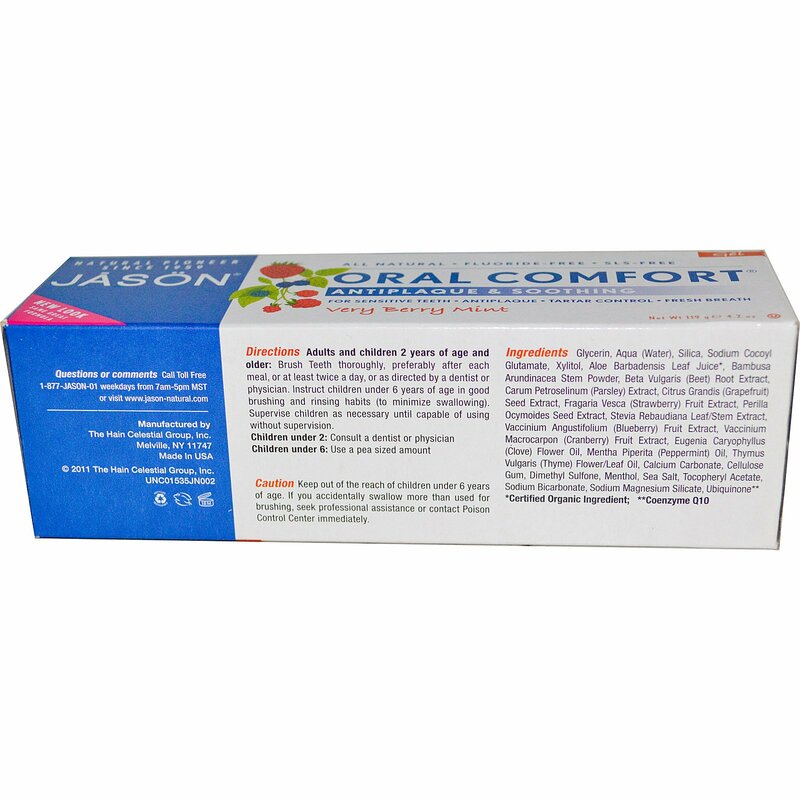 Oral Comfort Toothpaste features CoQ10, Aloe Vera, Menthol, Thyme Oil and Clove to soothe irritated gums. A refreshing burst of Natural Berry & Mint freshens breath instantly. 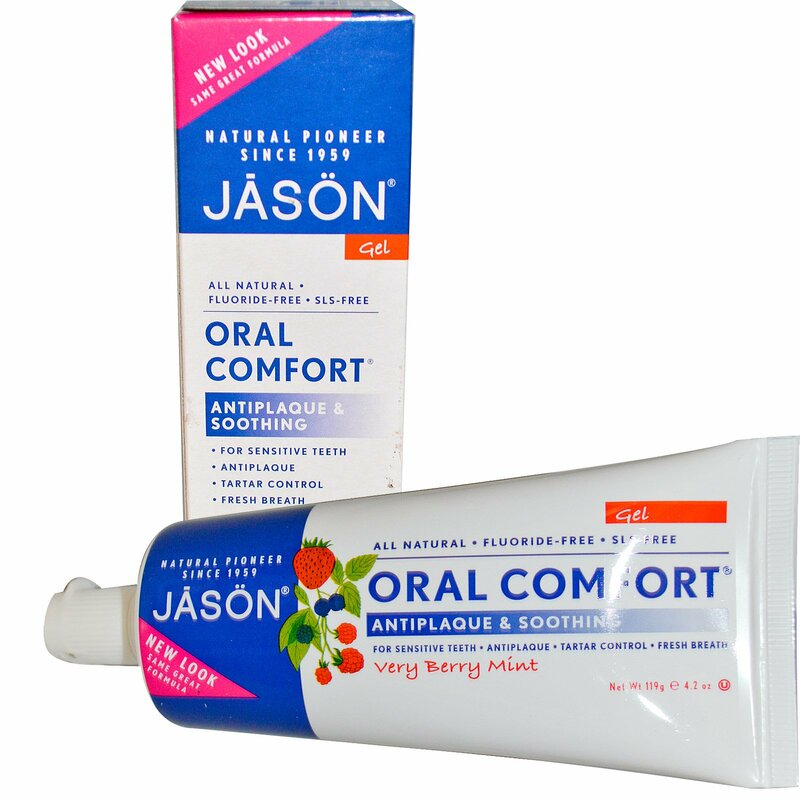 With regular use, Oral Comfort provides natural protection to help reduce sensitivity of teeth to cold, heat, acids and sweets. For a comfortable smile and fresh breath, use Oral Comfort toothpaste and your favorite Jason mouthwash twice a day. Caution Keep out of the reach of children under 6 years of age. If you accidentally swallow more than used for brushing, seek professional assistance or contact Poison Control Center immediately.